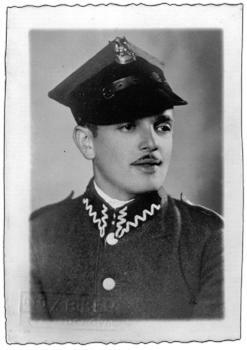 Holocaust Survivors: Photo Gallery - "Lipman Israelovicz"
Rachel's brother, Lipman was in the Polish army. In September 1939, when the Polish army was decimated, Lipman came home. He burned his uniform, said goodbye to his fiancee and family, and escaped to Russia. At first the family received letters that he was doing well. Then he dissapeared. Perhaps, he was sent to Siberia. He was never heard from again.